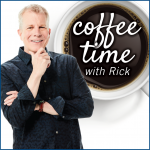 Join Rick for virtual coffee. Need some spot coaching? Have a burning question about your business? Looking for some support? Click here to register.